Email marketing is a great way to keep your customers informed as well as help convert and acquire new customers. 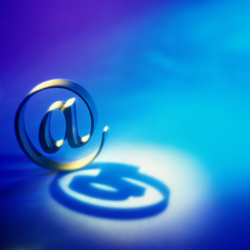 Email marketing has come a long way and today’s technologies are more exciting than ever. The innovation in email marketing is never ending and today’s systems, when designed properly, can generate revenue and propel customer retention. We can help you integrate video, pictures, links, and much more into your email campaigns. We can help you avoid making costly mistakes. Even more exciting is the level of analytics available with today’s email systems. You will know who opened your email, if they forwarded it, which links in your email the clicked on, and much more. We can guide you through the entire process. We have developed and managed hundreds of email marketing campaigns and can guarantee we will help you make the most out of your email marketing efforts.